Since the beginning of the year, I’ve been trying to explore some sociological dynamics of evangelical structure. I offered a summary of that argument in my presentation at the Wesley conference in Idaho. I’ve been doing a lot with wall metaphors: both in terms of how we construct isolating barriers and how we might tear them down. Since I got back from Idaho, I’ve been pondering another implication of the wall metaphor. I think it helps explain the Industry Evangelicalism patterns I’ve been writing about. It also may explain a lot about how we do discourse within contemporary society. Whenever I get one of these ideas in my head, it feels like I’m constantly reading stuff on Facebook and Twitter that connect to the current hypothesis. The may be mistaken interpretation on my part, but it might just allow for a more careful unpacking of the social psychology at play within our varied group identities. The picture above is Lego’s King’s Castle Siege. It illustrates how battlements were created to protect townspeople and nobles against the onslaughts of outsiders. But here’s what I notice: the construction of defensive positions actually allow offensive actions to be taken against the marauders. The rhetoric of defense is such that it winds up justifying first-strike capabilities. This was true because the actual damage from a siege doesn’t involve battle but rather starvation. The point of the siege isn’t necessarily to overrun the walls but to cut off supply lines and isolate the kingdom. This results in two driving dynamics: demonizing the enemy and acting first before they gain a foothold on the walls. Once the battlements are built, the kingdom is isolated from potential enemies. That brings safety but also allows one to imagine the worst possible motives of those enemies. Social psychologists refer to this as “fundamental attribution error” — I know my motives but yours are suspect. In fact, it’s likely that I’m imputing my darkest motives onto you because that’s how I imagine what you’d do if successful. This imputation then justifies any action I might decide to take because your imagined attack would be so much worse than my actual actions. Theory: when someone becomes the face/ symbol/leader/figure of a radical movement which perceives itself to be oppressed, that person has very strong incentives to becoming increasingly radical in language, rhetoric, and position. To the point of absurdity. He had a particular example in mind (Richard Dawkins) but one could easily put other players in the same position. In fact, Alan has previously done some wonderful work calling out the exaggerations of Todd Starnes and others who delight in cherry-picking isolated infringements on religion as illustrations of “what the world is coming to”. In a recent twitter exchange with Laura Ortberg Turner, I reflected on the linkage between persecution and prosecution — that somehow people will be arrested for their religious convictions. As I write this, Westboro Baptist minister Fred Phelps is near death. His particular form of striking aggressively to stop the visigoths approaching the gates has become legend (even though Christians have seen this as too extreme). We see the same thing in the political realm. Jon Stewart’s continued takedown of Fox News imputing the worst possible motives to food stamp recipients shows the same pattern. One must imagine the takers and then strike out against them. But the motives imputed only characterize a tiny percentage of those affected. Joshua Dubois, author of The President’s Devotional, wrote a fascinating piece today about Dr. Ben Carlson. Joshua describes the important role model Dr. Carlson provided for young black men for a generation and how that got transformed into a voice that justified outrageous comment in support of partisan position. It’s an example of how staying inside the battlements provides self-justifying rationales but at the price of the potential positive impact on all those outside the walls. In Disunity in Christ, Christena Cleveland devotes early chapters to how easy it is for us to demonize out-groups and describes the rich (and depressing) social psychological experimental research that illustrates the tendency. As I wrote in the tearing down walls piece, she ends her book with solid insights on how to reverse those patterns. As I was working on this post, Frederich Buechner (or at least the people that run his Facebook page) posted this quote from Brian McClaren’s 2012 book. Yes, something good still shines from the heart of our religions – a saving drive toward peace, goodness, self-control, integrity, charity, beauty, duty. And something shadowy struggles to overcome that luminosity – a hostile drive, dangerous, resilient, and deeply ingrained, a black hole in our identity that needs an enemy to help us know who we are and how good we are. My point is that building battlements has certain predictable results. Once we’ve got the walls, we begin to imagine who might be lingering outside. We worry about what they might do. Then we act to prevent them from doing that thing we imagined. We’re self-justified in the process — just imagine what might have happened had we done nothing! But we imagined the impending attack. It kept us behind the parapets. It stopped us from engaging with those different than ourselves. That’s true whether it’s conservatives in the walls afraid of what liberals might do or liberals worried about conservative rhetorical attacks. It’s true whether we’re conservative/fundamentalist evangelicals imagining what will be on The Cosmos tonight or the scientific community worried about creationist legislators. This week Christ & Pop Culture had a piece by Bradford William Davis titled “Why We Argue Like Jerks“. He points out that we don’t like asking good questions, that we do not seek to understand, and that we don’t like risking being wrong. In short, we fail to deal with the other as he/she really is but instead how we imagine him/her to be. We do battle in our imaginations, feeling victorious because we once again held our imagined foe at bay. 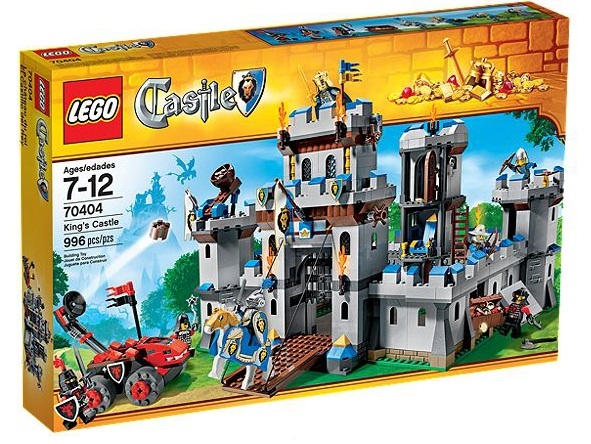 Maybe it’s the building of battlements (great for ages 7-12!) that’s the real problem. If we didn’t have battlements, we wouldn’t fear the siege. We wouldn’t imagine the enemy over the hill. We wouldn’t imagine the awful things they intended. We wouldn’t demonize them and look for means of attack (defensively, of course). We might just get that Golden Rule right. My thoughts have been stimulated (by listening to http://www.econtalk.org/archives/2014/03/velasquez-manof.html) in the direction of thinking of social immune systems. In this podcast the focus is on how increasing hygiene in our era has helped the immune system become hypervigilant. If social systems have something like an immune system (and I, in my sociological ignorance, think they must), then it would seem that social immune systems can fail in ways similar to biological immune systems. They can become hypervigilant (behind the castle walls), snuffing out any signs of dissent or difference, as if they were full-blown enemy invasions. I would also imagine that they can become weakened, perhaps by becoming worn out, or even by a lack of belief in their legitimacy. I’ll have to check out the podcast. From looking at his webpage and the book summary, there is a parallel regarding the lack of antibodies to deal with infectious diseases. Sociologists have been known to push organic analogies to extremes, but the general disease metaphor isn’t a bad one. I remember some good social psychological work on the inoculation against attitude change when I was an undergrad. But if my use of the metaphor is correct, it’s not that dissent is snuffed out, it’s ignored which leaves the organism vulnerable should an infection occur. « What’s the deal with Christian Celebrities?